Questions For An L.A. Private School Mom: Hollywood Schoolhouse and The Episcopal School of L.A.
Q: You worked with the Independent School Alliance, an organization that helps minority families apply to L.A. private schools. What was the middle school application process like working with the Alliance? A: Working with the Independent School Alliance (Alliance) made the process of applying to multiple schools easy and streamlined. Step one — The Alliance meets with your child to learn what makes them tick, what they enjoy most about their current school and what they want in a middle school. Step two — they meet with the parents and together agree on a list of fitting schools for your child. Step three – parents give The Alliance a contribution (sliding scale) which covers the application fees and even the ISEE fee! My daughter applied to four schools via the Alliance (Oakwood, Wildwood, The Country School and Archer) but choose to attend Episcopal School Los Angeles (ESLA), a school we applied to outside of the Alliance. Q: How many schools did she get into? Q: Did you make any mistakes other parents can avoid? A: My biggest mistake was not taking the process very seriously. I thought, “It’s frigin 7th grade. How hard can it be?” I was certain my daughter would have her choice of schools to attend. I had NO CLUE how difficult and competitive the process would be. I know several families whose kids didn’t get into any schools for 7th grade! Additionally, I wish I had attended more school events, not just open houses. Attending plays, concerts, book fairs and boutique sales is a great way to become more familiar with the culture of the school and for the school to become familiar with you and your family. Q: Why did you choose a small, progressive middle school after being at Hollywood Schoolhouse? A: My daughter spent 1st grade through 4th grade at the public school 3rd Street Elementary, an academically demanding school. It taught her great study skills but after four years, I wanted a school that fostered and valued creative thinking and play as well as academics. Hollywood Schoolhouse was that school. My daughter flourished in the fun, loving, supportive learning environment that is HSH. The academics are solid but not as demanding as 3rd Street. For example, my daughter had 30 vocabulary words a week to learn at 3rd Street but 15 at HSH. The pace was slower as well. For middle school, my daughter wanted a school with a similar progressive vibe but with stronger academics. She fell in love with ESLA for many reasons. It’s a funky, quirky, small scrappy school with an innovative spirit. It was the only school that asked my daughter crazy question during her admissions interview – “If you had a fish and sling shot what would you do with them?” My daughter responded with a question, “Is the fish alive or dead?” ESLA obviously values your child’s creative thought process as much as their grades. Q: Why are you applying out to a bigger more traditional high school? A: My daughter wants the typical high school experience she sees on TV — football, cheerleaders, band, the works. ESLA is a small school and has none of the above. She’s currently applying to Notre Dame and Campbell Hall for high school. I truly wish my daughter would stay at ESLA. There’s so much I love about the school. We’ll see what happens. Q: What do you think are some of the attributes of a traditional school? A progressive school? A. ESLA is a perfect mixture of the two; traditional on surface (the school is steeped in the Episcopalian tradition with chapel three times a week and requires students to wear uniforms) yet progressive in nearly every other way. As a new parent, I’ll never forget the school convocation (I had to look up the word because I had no clue what to expect.) When I saw church hymns and a biblical excerpt in the program I thought “Oh, no. What have I done?” Then the founder stood up and gave a sermon that gave me chills. She compared the summer of 2016 to the turmoil packed summer of 1968. She gave a history lesson, a moral lesson and an inspirational talk on how to be the change we want to see in the world. It was a lovely ceremony welcoming new kids into the community. A progressive school values student engagement and encourages discussions around politics, current events and social justice issues. Recently my daughter’s history class debated a case where a baker refused to bake a cake for a gay wedding. A traditional school might not tackle such a topic. Most progressive schools value diversity. I wanted a supportive environment for my daughter to explore what it means to be a young black woman in today’s world. Progressive schools solicit student’s feelings and encourage their input far more than traditional schools. Traditional schools have strict rules that should not be challenged. At ESLA students are encouraged to start a petition if they want to implement a change at school. Recently a group of boys petitioned to start a boy’s volleyball team since ESLA only offered girls volleyball. Next year, ESLA will offer both. Academically progressive schools switch things up. At ESLA middle school students read books I read in high school (Catcher in the Rye). Progressive schools constantly try new teaching modalities whereas traditional schools stick with tried and true traditional teaching methods, like frequent tests and lots of memorization with students competition against each other for grades. Lia Langworthy is a graduate of UC Berkeley (BS) and UC Riverside (MFA). Primarily a TV writer (The Shield, Soul Food, Media) she also teaches at the UCLA’s Extension Writing Program. Lia is a single mother to a teenage daughter. 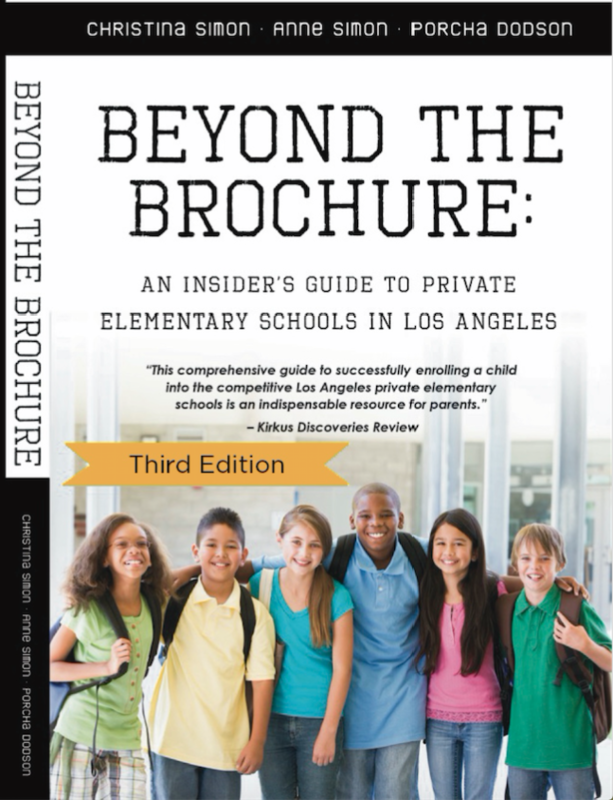 For all the latest L.A. private school news follow Beyond The Brochure on Facebook! Q: The programs you’ve designed focus on providing information for teens and parents. Why? A: Almost all parents recognize the importance of their sons and daughters learning the What They Don’t Teach Teens lessons, but most simply don’t know the information themselves or have an engaging way to teach their teens. So, that’s where I come in. I teach directly to teens on behalf of a parent (or school) so they don’t have to; to parents only so they can decide how to convey the information they learn to their child in a manner that resonates with their family values, or; to both parents and teens simultaneously so that the information can be learned together, thereby setting the stage for important parent/child discussions about the topic(s) when and how they see fit. Q: Digital Safety: Help! Where do we even start? A: That’s a great question. Quite simply, since there’s so much ground for us to cover as parents in this regard, the most important thing is to just start the discussion! Ultimately though, the starting point is going to vary because our kids are in different places depending on their age and digital interest/sophistication. Still, if I were going to choose a “one-size fits all” starting point, it’d be that teens understand that whatever they post on social media or share electronically via email, text or any digital format, has the potential to exist forever and to be shared amongst people they don’t know. Once they hit “send,” there’s no getting it back, ever! 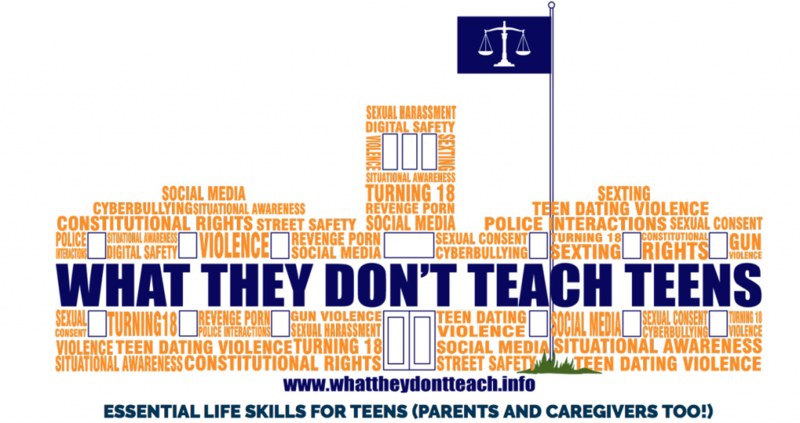 Once that general concept is understood, parents can start covering the many other digital topics our kids need to understand like cyberbullying, privacy, etc. depending on what they feel their child needs at any given time. Q: Your Table Talk Discussions sound like a great approach for talking to elementary and secondary school kids about the awful perils of cyberbullying. Can you give us a few tips to for talking to our kids about how to avoid being victims or unwitting perpetrators of cyberbullying? A: Since most of our kids won’t directly cyberbully someone, it’s most effective for them to understand that a cyberbully has no power without followers and inactive bystanders. Their mere digital presence within the bullying can make the target feel like everyone has turned against them. And, from the bully’s perspective, it will be thought of as support for the abuse. So, at a minimum, our kids should not participate even passively in a cyberbullying situation and, if they feel safe doing so, they should try to meaningfully intervene. The intervention part is really important but beyond what we can cover here. I’ll just say that there are always ways for our kids to intervene in some way, even something as simple as telling a trusted adult about what’s happening—which can even be done anonymously. Speaking of trusted adults, if our child is ever the victim of cyberbullying, it’s critically important that they don’t suffer in silence, but instead tell someone they trust—preferably an adult—about what’s happening to them. There are also numerous online resources where teens or parents can reach out anonymously for help. As much as we want our children to come to us as their parents, they may be reluctant to do so for fear of losing their digital access. When trying to talk with my sons about cyberbullying or other important issues, I usually do it casually in a car ride, when we’re having dinner at a restaurant, or when I’m tucking them in at night. Using current news stories related to the topic is always a good way to begin a discussion too by saying something like “Did you hear about….” We also have a monthly family meeting in which everyone is given one to two minutes to talk about anything they want—including lodging complaints. My section is called “Daddy’s Safety Minute” and in that short period of time I always cover one of these types of topics. Q: Helping kids say “no” to friends is so important yet so difficult for many kids to do. What advice would you give to parents? To kids? Can you give us an example? A: Well, kids certainly aren’t the only ones who have a hard time saying “no.” Many adults wish they could say “no” to their boss, co-workers, a partner, and perhaps, even their kids! So, I think we have to understand and appreciate that learning to say “no” is a skill that will serve them well for their entire lives and which gets easier with practice. And, we can help them practice! For kids who are confident and assertive, they can be taught how to say “no” without ever uttering that word. For example, if a friend wants them to do something that they know they don’t want to do, they could say something like “I don’t want to, but thanks”; “Thanks for thinking of me, but I don’t think so”; or “I can’t do that, but why don’t we do ___ instead?” Of course, these should be customized so that they feel authentic to the child. Then, the response can be memorized and repeated when and how they see fit for years to come! For other kids, my favorite thing is to have them stall. Since the one thing we don’t want them to do is say “yes” to something that they don’t want to do or aren’t sure that they really want to do. Instead of saying “yes” or “no” (or it’s functional equivalent as mentioned above), kids can say other things that buy them time like “I’m not sure, I’ll think about it”; “I’ll let you know”; “I’m busy now, but I’ll get back to you about it.” Again, these should be customized so that they feel authentic to the child. Hopefully, this gives them a window of opportunity to reflect on how they really feel about what they’ve been asked to do and maybe even talk to a parent for some guidance in the interim. Thank you, Jonathan! To contact Jonathan about speaking events or for more information, click on What They Don’t Teach Teens. 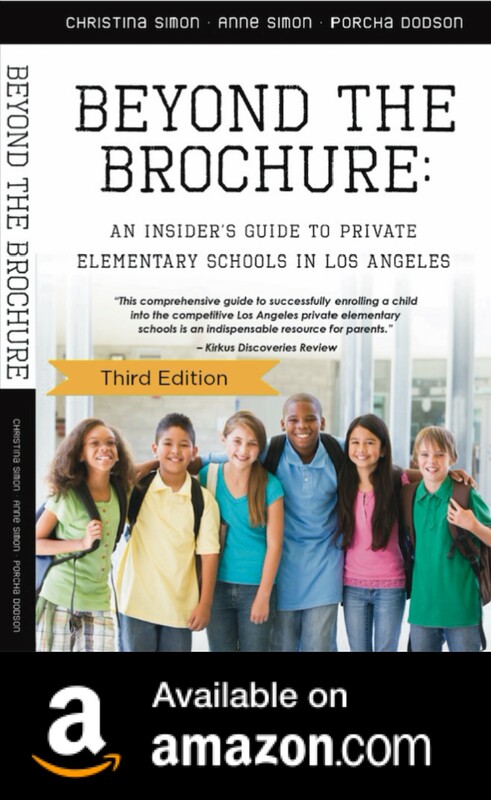 For all the news about L.A. private schools, follow Beyond The Brochure on Facebook! If you’ve read this blog for awhile, you know I think the culture of a school really matters. For me, it’s not just an aside or something to wonder about casually. Unfortunately, I learned the hard way that school culture matters in ways big and small, in ways you won’t even think about until you’re living it with your kids day in and day out, until you’re absolutely miserable or incredibly grateful for it. A school’s culture is a reflection of it’s values and that starts at the top with the head of school and the board. The admissions director also plays a big role since they are the ones making decisions about who gets in. A school’s culture, I’ve learned, doesn’t happen by accident. Creating a warm and wonderful culture takes effort and hard work by everyone involved, especially the school leadership. A toxic, cliquey, dismissive school culture isn’t accidental either. It can be the result of many factors like a lack of acceptance of “outsiders” or a head of school who cultivates friendships with certain parents who set a haughty, elitist tone for the entire place. 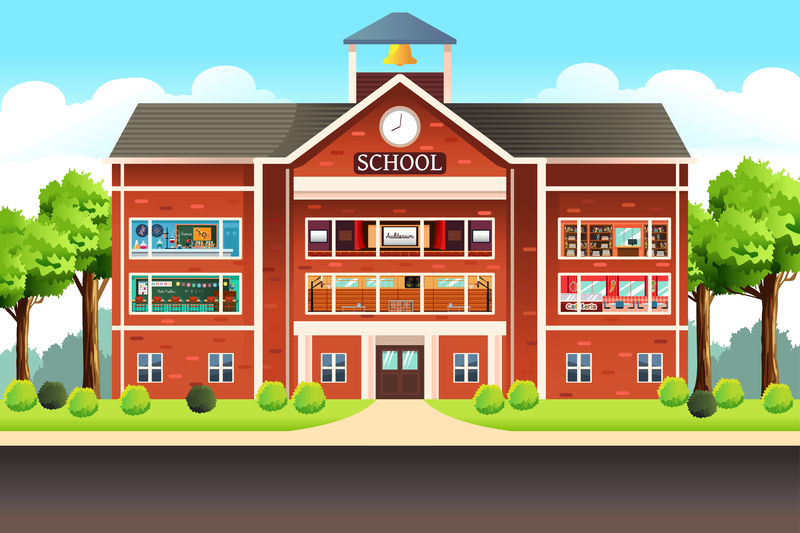 You might also know that I think it can be difficult, or nearly impossible, to figure out the culture of a school before your kid becomes a student there. And even then, navigating the school’s culture can be confusing for many of us. So, as you move though the admissions process, a school’s culture might be one of the things you focus on if you care about being part of a school where you feel like your family belongs. However, as an outsider you might have to connect the dots to learn what even insiders have trouble defining. It’s worth your time since you’ll be a parent a the school for many years. Being a parent at private school means volunteering, attending school events, interacting with administrators and teachers and finally, getting to know other parents and their kids. When any one of these aspects of the school’s culture isn’t going well for you, it can be hard to love the school, to be involved, to donate, to talk to the teachers. When a lot of these things aren’t working, it becomes impossible to remain at the school. I’ve been very honest about my ups and downs finding a school culture that fit my family and our values. We were a family at The Willows for 7 years. It was never the right culture for our family. I tried to make it work. I volunteered, we donated very generously to annual giving and we tried to become part of the school community. Barry, my husband, gave it a shot too. Still, it didn’t fit us in the way I’d hoped a school with the word “community” in its name would. I felt like an outsider there from the first day. But, I ignored those feelings and decided my intuition was wrong. It was a good fit for my kids, I’d tell myself. The integrated curriculum is amazing. Yet no matter what I did it never felt right. There were the tangible, objective reasons why I in retrospect I feel it didn’t work. Then, there were those intangible, those subtle but oh so important reasons that ensured it would never be a school culture I’d embrace or that would embrace me. We’d come from Montessori Shir-Hashirim preschool where I felt like part of the community. I wasn’t friendly with everyone, but I had a small group of moms who I hung out with. My daughter had plenty of playdates. We’d meet at the park or at one of our houses and I knew I could call any of those moms and they’d be there like I would for them. I still have a good friend, an actress, from the preschool! 1. Families from a certain Westside feeder preschool where The Willows head of school previously worked. There are some lovely families from that preschool, but they all knew each other and were not especially interested in getting to know our family. 2. Lots of creative families in the arts, music and entertainment industry. We aren’t any of these things, so not much in common with the parents in those fields. That isn’t always a barrier to community, but in this situation it seemed to be. 3. A board of directors that was mostly appointed because they were friends of the head of school or they had a specific agenda/reason for being on the board. It wasn’t a skills based board, but one based on personal relationships. The implications for that are important because in a small school, any conflict with a board member about an issue, ranging from bullying policy to volunteering, immediately puts you on the bad side of the head of school. Trust me on this one! 4. 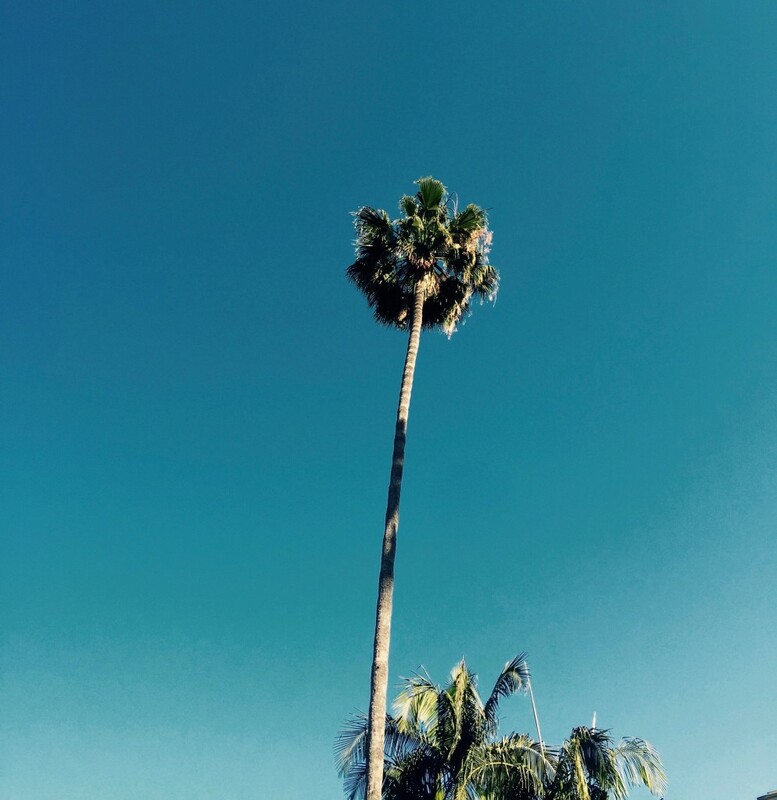 An environment one friend compared to the culture of a hollywood agency (her husband is an agent.) She says the agent culture is brazen, harsh, filled with yelling, firings and bad behavior. That was the same environment I encountered when I volunteered at The Willows. A small mistake or difference of opinion lead to me being yelled at by another parent volunteer! As I’ve mentioned before, when I was yelled at I screamed back. It was not my best moment(s). Then there’s the big F-You day. But, I kept trying to make it work. It never did. Imagine when one of my friends found out she was no longer chairing a desirable, coveted committee at the school when she read about the person who’d be replacing her in the school newsletter! There’s a nicer, more professional way to treat a parent volunteer. 5. A lack of interest in building community. Sure, Willows held events like get-togethers for each grade at a parent’s house or coffees at the head of school’s house. Those are obligatory at private schools. The real community lies with the people appointed to run the parent association or other committees. Are they inclusive and welcoming? Do they solicit input from the parents? When The Willows decided to try to encourage more parent involvement by holding a series of before school coffees at the Target near school, so few people showed up, the events were cancelled soon after. It felt like a commuter school, not the community school I wanted so badly. But it’s not surprising this happened when the head of school and her minions walked past me and other parents regularly without speaking. The first time I heard a dad complain that the head of school ignored him, I didn’t think it was true. Then I saw it happen to him. Then it happened to me many times and it was definitely true. 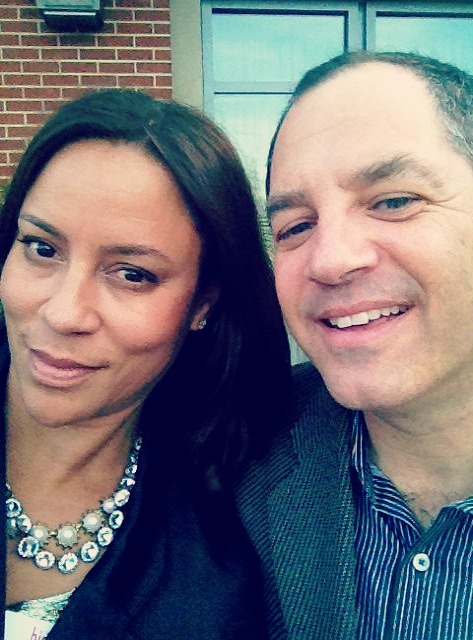 Me and my husband, Barry Perlstein, at our first Viewpoint Gala, Four Seasons, Westlake Village, 2012-13. Now that we’ve been a Viewpoint family for 5 years, I can honestly say moving my kids to Viewpoint was a very wise decision. As soon as I saw the campus, I felt the culture was right for our family. It’s beautiful and spacious, not urban hipster or Westside snob–I’d had enough of that. Viewpoint’s culture seemed professional and gracious. And it is. The school is traditional with all the hallmarks of that educational philosophy. Parents say hello to other parents in the halls. This was new to me. At Willows, there were parents who, after 7 years in the same grade, never spoke to each other. At Viewpoint, I was pleasantly surprised when I sent an email to a mom who I didn’t know, she responded. I wasn’t used to that sort of politeness. But, most of all, I think the type of families at Viewpoint are more like my family and that helps us feel like we belong there. 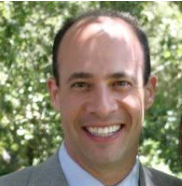 Barry works in management consulting and there are lots of parents at Viewpoint who are non-entertainment professionals. This made it easier for us to connect in a real way with both moms and dads. Best of all, our kids have friends who the kind of friends you hope your kids will find. It’s a school that values academic achievement and involvement in school. When my daughter left The Willows after 6th grade (against the wishes of the head of Willows), she wasn’t involved in a single school activity since the main activity there is theater. Now, in 11th grade, she’s a page editor for the school newspaper, in Model U.N., The Community Service Honor Society and several more activities. At Willows, a lot of parents’ near-obsession with having “cool” kids who played in a band or acted, dominated the culture. It’s almost non-existent at Viewpoint. Now, kids who want to be cool? Well, that’s to be expected anywhere. School culture is nearly impossible to predict since you don’t know who will be in your kid’s class or their grade. But, there are things you can do to try to find the right place, where you feel welcome and valued. 1. Ask around to find out what industries the parents at the school work in. Do they work? Are there common themes that keep emerging like lots of actors or tons of investment bankers? What about a particular neighborhood or part of town where a lot of the families live? 2. Go to school events like book fairs, basketball games and theater performances. These are very different than admissions events and give you a sense of the school in a way that formal admissions events can’t. 3. Ask yourself if you’re interested in the school because it has a big reputation and it’s “popular” or because you think it’s the right place for your child and your family. 4. Does the school talk about community during the admissions process? Does it seem genuine or like an afterthought? Ask the admissions director and tour guide to describe the school culture. 5. If you’re a nontraditional family in any way, will you be accepted at the school? Are there other single moms at the school? Mixed-race families? Divorced parents? Gay and lesbian families. Parents with adopted kids? 6. Do you think you’ll find “your people” there? We all need to be able to call another parent when something hard is happening with our kids and know that that friend will be discreet and offer support and good advice. That’s priceless. I’ve said more than I planned but I have big feelings about this topic. Thanks for reading and I hope you find your people too. I’ll end on a happy note. I met one of my closest friends when our kids were in kindergarten at The Willows. So, it was worth the agony of an arrogant, entitled school culture that valued so many things I couldn’t offer–or didn’t want to offer. Find Beyond The Brochure on Facebook!